Building Custom Homes. 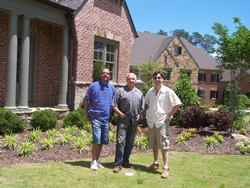 Shawn Shakib of European Manor Design, Inc., has been building custom european manor homes in the Atlanta area for many years in communities such as St. Ives, St. Marlo and Country Club of the South. We have always made it our mission to provide the highest quality homes with all the special features you'd expect to find in them. Home Automation. 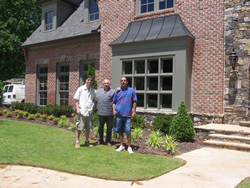 In addition to building custom homes, we have extensive experience in home automation. Therefore, we strive to bring excellent value and improved quality of home life through all kinds of home automation systems, e.g. home theater, central vacuum systems, security systems, smart lighting, intercom systems, whole home audio, etc. Renovation and Remodeling. 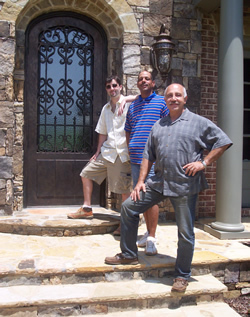 Maybe you’re looking for a company that specializes in high-end renovation and remodeling? Give your extensive building experience, who else would you trust to provide you with that “just right” addition to your home. We can build addition, or remodel your attic and make the transition look and feel a complete part of existing spaces. Maybe you’d like to add finished square footage to home. What better way to do that than to finish your basement, add a bedroom, or workout room, maybe even a home theater? A newly remodeled bathroom or kitchen can make a huge difference to improving the value of your home. Or maybe you’d like to add an outdoor living space. Our remodeling and renovation services can provide you with an infinite number of ways to increase your enjoyment of your existing home. Or if something happens to your home through fire or water damage, you can trust us to restore your home so that you would never even know it happened. View our video below and browse our photo gallery and you can see some of the possibilities! Through a combination of our experience in custom home building, home automation, and our home renovation services, we provide you with the means to ensure a superior home! Copyright © 2006, European Manor Design, Inc.- All Rights Reserved. Designed by Compass Marketing Group.